Available in bookstores January 2019 – grab your copy on Amazon now! Are you ready to get unstuck from a bad marriage and embrace your best life? Is your marriage unhappy and unfulfilling … but you are too scared to trade your comfortable life for a future full of unknowns? 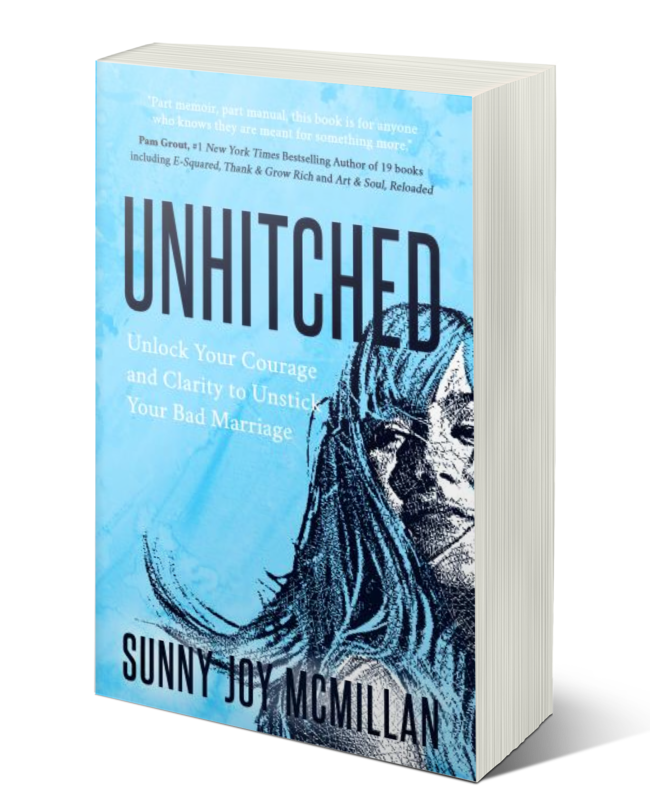 In Unhitched: Unlock Your Courage and Clarity and Unstick Your Bad Marriage, recovering attorney and practicing master life coach Sunny Joy McMillan will give you the tools you need to make the right decisions about your marriage, as well as the confidence that your future can be better and brighter than you can even imagine. You were meant for more than a tolerable, unhappy marriage. If you are ready to trade confusion, stagnation, and fear for your best life, this book was written for you.